« Happy Birthday Open Banking, Happy Birthday To You!! At this time of the year there are many articles and reports outlining fintech predictions and fintech trends for 2019. So in this post, i thought i would share some of the best articles and provide a quick overview of the highlighted fintech trends and predictions. 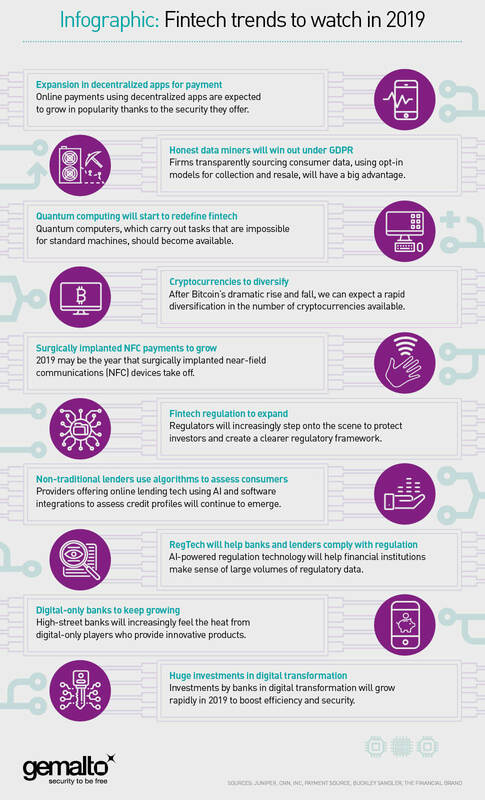 Please refer to the links for full details and explanations of the fintech trends.